Pierre Boulez has already left an indelible imprint on the international music scene, not only as a composer and conductor but also as a music philosopher and teacher. This documentary, a homage on the occasion of his 85th birthday, shows his invaluable nurturing of young musicians as they come together during the summer for intensive rehearsal weeks. 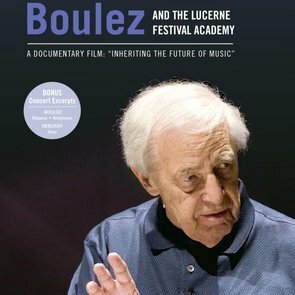 Adopting the perspective both of Pierre Boulez and of the students, the film conveys an infectious enthusiasm for contemporary music, a determination on the part of everybody to do it justice, and a wonderful insight into the legacy that Pierre Boulez passes on to the next generation.